There are more than a couple Gears to choose from these days, but not that long ago, there was only one. That awkward piece of tech is more affordable now, though it still hasn't dropped down to the price many people would like to pay for it. That makes now a good time to pay some attention to Best Buy. 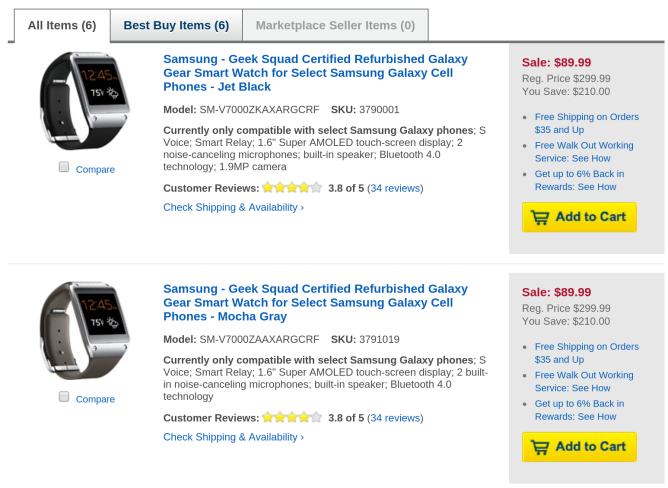 Today the retailer has refurbished versions of the original Galaxy Gear going for just $89.99, a price that's on the better side of $100. Though Samsung has new models in the field, it hasn't forgotten about the smartwatch that got the ball rolling. 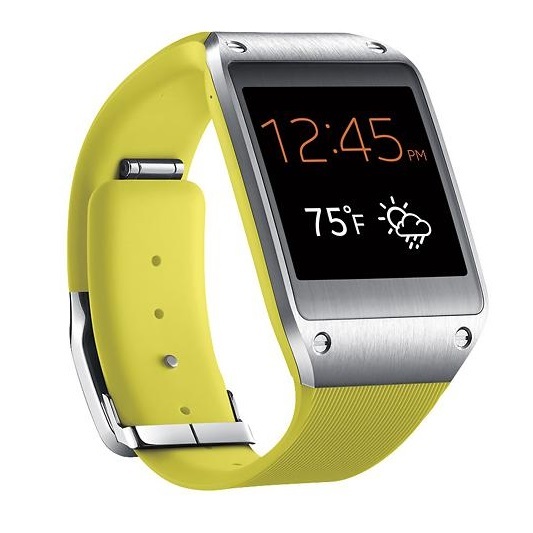 The Galaxy Gear received an update that switched it from Android to Tizen starting at the end of May. $90 is a far cry from the gadget's original $300 price tag, and at this lower rate, maybe now's the time to give the device a look. The price applies to all six colors, and each comes with free shipping. Here are the links.